It's nearly Easter and time to buy some Easter goodies. 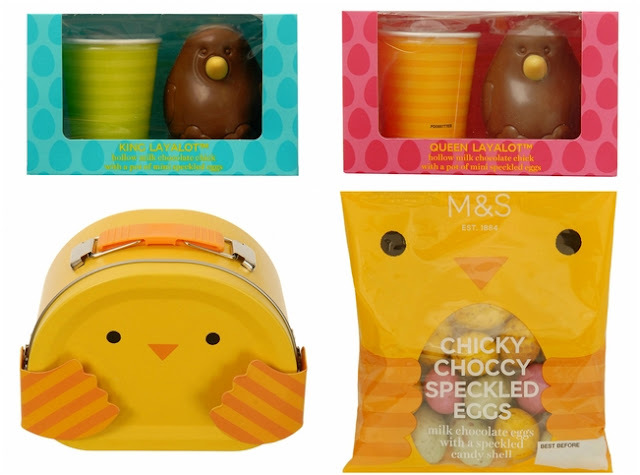 This year Marks and Spencer have a great range of veggie treats for Easter from adult and kids Easter eggs to Easter gifts for the little ones, eggs to set up your own Easter egg hunt and of course hot cross buns. They are all vegetarian and two of the Easter eggs are dairy free, so they are suitable for vegans. 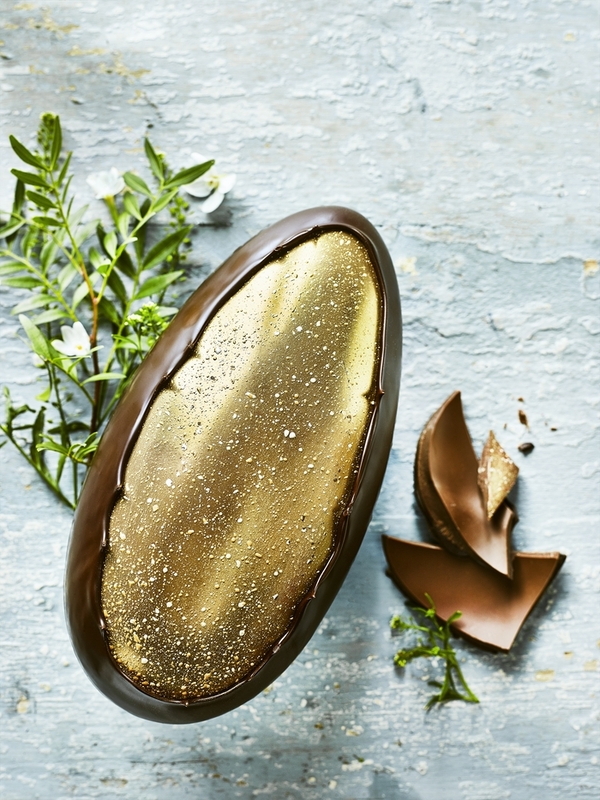 Lets get on and see what's new at M&S this Easter. 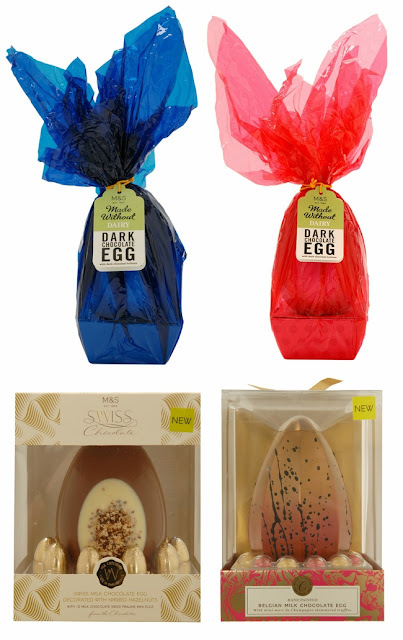 There's a great range of Easter eggs for adults at M&S this year. They always come up with stunning new designs each year. Here's a selection of my favourite eggs from this year's collection. They come in a range of sizes and prices. Children will love these chocolate Easter characters. 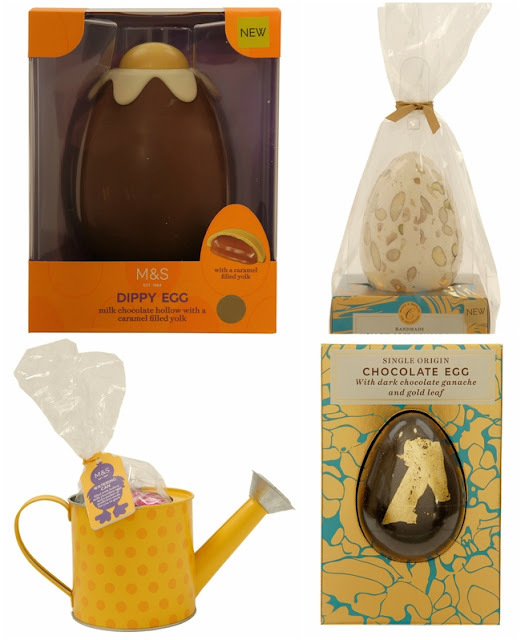 There's also a varied selection of Easter Gifts too, including these few. Marks and Spencer always have a great range of vegetarian jelly sweets which started with Veggie Percy and has extended until their is now a huge selection. They also bring out some new jellies for Easter, Halloween and Christmas. These little bunnies are addictively tasty! 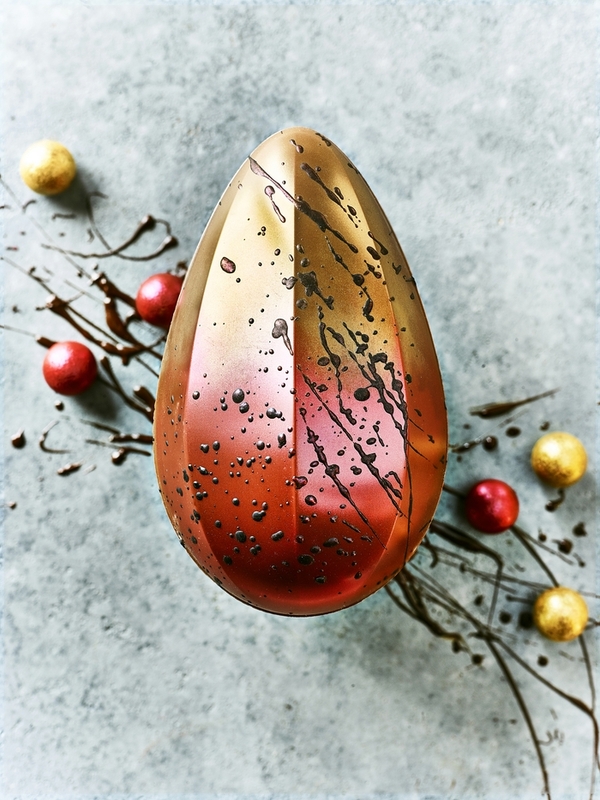 M&S have a selection of eggs that can be used for an Easter egg hunt on Easter Sunday. So why not hide some eggs in your garden or a local park and let the kids have a good run about and burn off some of their endless energy looking for eggs while you relax? For years I liked the sounds of hot cross buns, but I didn't really like them, then a couple of years ago I tried them cold, spread with butter and realised I loved them. 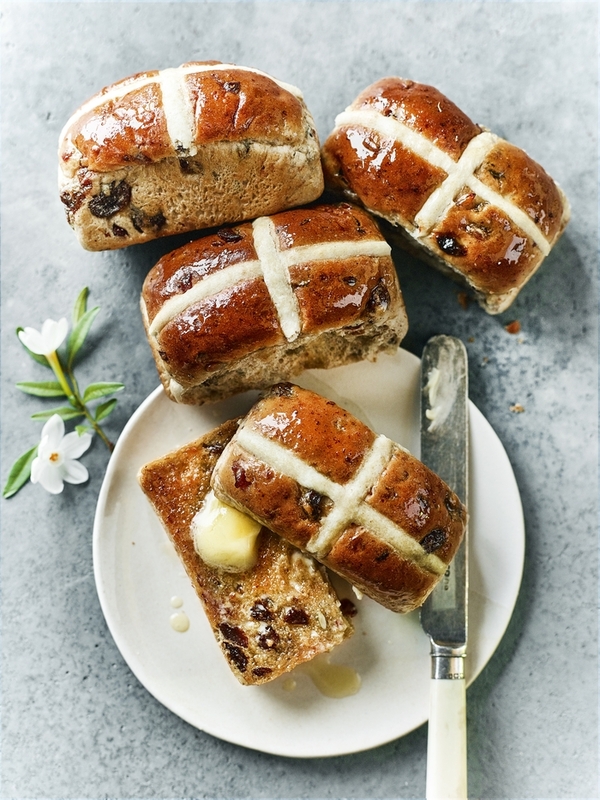 Serve them toasted or cold, there's a big range of hot cross bun flavours to choose from this Easter at M&S. They are £1.70 for a pack, but they have a special offer running where you can buy most of the hot cross buns for £2.50 for two packs. That's a big saving of 90p. If you fancy doing a spot of baking over the Easter weekend why not try my Treacle Gingerbread (vegetarian) or my Dark Treacle Banana Gingerbread (vegan)? I hope that has given you some ideas for Easter. Do have a great Easter weekend with your family and friends, or just take some time to relax. Disclosure: This is a sponsored post for M&S. I was not required to write a positive review and any opinions expressed are my own. Happy easter - would love to be able to look through M&S easter goodies in the store but as it is too far to go, I really love being able to look at these. Can't believe all the flavours of hot cross buns. I also see that you have a book coming out - must be a busy time for you. Happy Easter Johanna. Yes, lots of choice at M&S. I bet you miss it. The book is out in April, which I am looking forward too. It was a joint project with children's author Clive Gifford. 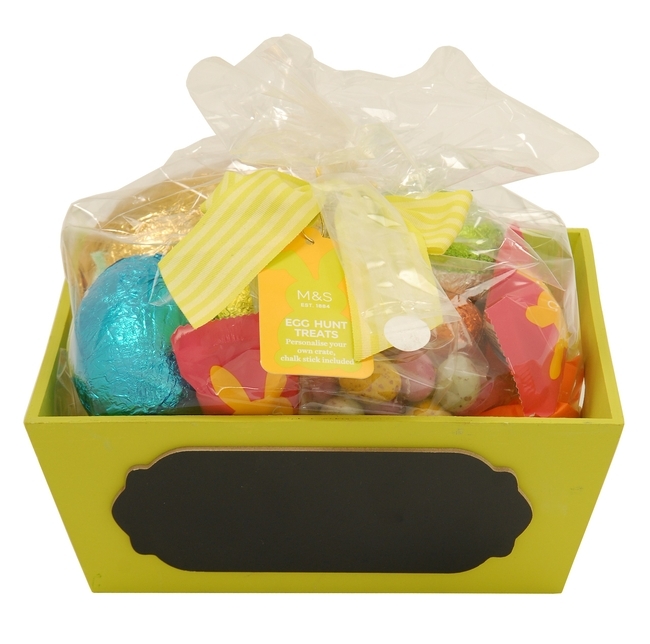 These Easter goodies look so mouth watering. I can’t begin to choose which is my fave. I want them all. I know, it so hard to choose, with such a lot of yummy choices. These look like some seriously fun treats for Easter. Everyone would love getting some of these in their Easter basket! Oh yes, they will go down very well this Easter. Happy Easter to you and your family. We love stuff from M&S and more often I shop there. Love their Easter eggs and hot cross buns range, there is plenty of to choose from. Happy Easter when it comes Jagruti and yes I agree. Lots to choose from. A lot of nice choices. I know, don't they just and the hot cross buns are lush!